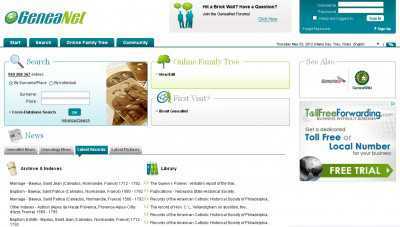 Started in 1996, GeneaNet is one of the most reliable ways to research the history of your family online. 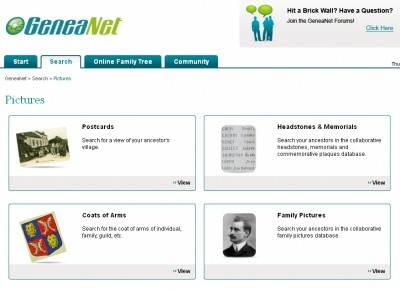 This site lets you go through archival records and indexes, and to browse other people’s family trees, pictures and postcards. The GeneaNet database has already got more than 400 million entries, and all this data is freely shared. You can access it without having to pay anything. Paid memberships are available for those who want to browse the site faster and without ads, but there’s no need for you to register for a paid account if you don’t want to. A search can be carried both by surname and place, and by surname and first name. And in addition to being able to see family pictures and postcards, the site lets you go through coats of arms and headstones. Whatever gives you a better chance to understand who you are, and where your lineage has actually started. And if a direct search fails to give you the answers you look for, then you can post what you need on GeneaNet’s forums, and wait for others to help. And you can also do a member search, and see what you’ve got in common with other members of the community only. This is GeneaNet’s Facebook fanpage. And you can also follow the company on Twitter, and learn about the latest genealogical news right as they’re announced.